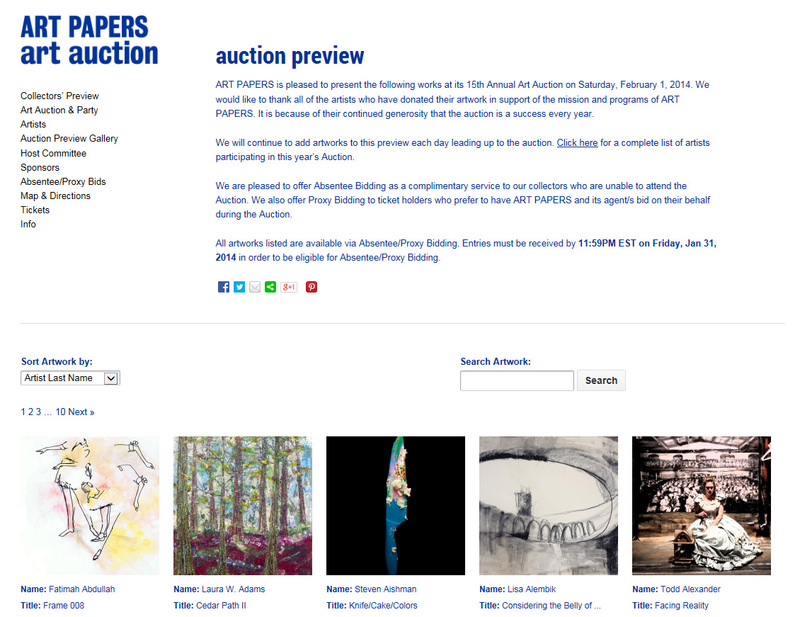 Art Papers Magazine, a non-profit bimonthly magazine about contemporary art, hosts an annual art auction as a benefit for their organization. nuSpace Media partnered with trueITpros to build a website to manage the artwork entries and publish the artwork online prior to the event. Art Papers Magazine provided the design to match their existing main website, and nuSpace Media highly customized the WordPress content management system to carry out the needs of the organization for the fundraising event. 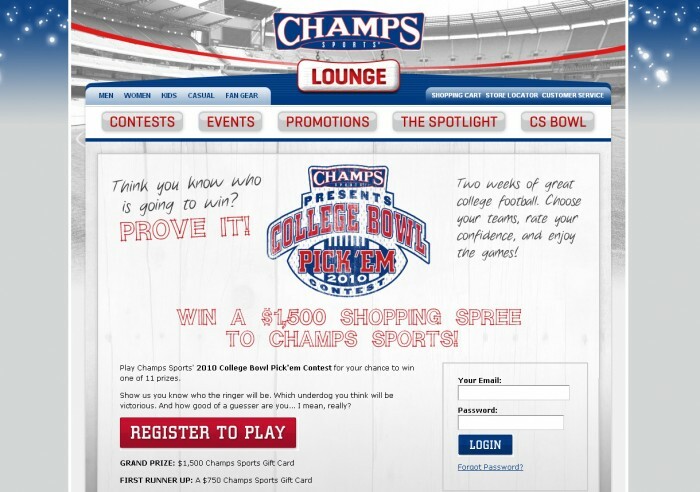 Champs Sports is a sports apparel and shoes retailer located in shopping malls across the United States. 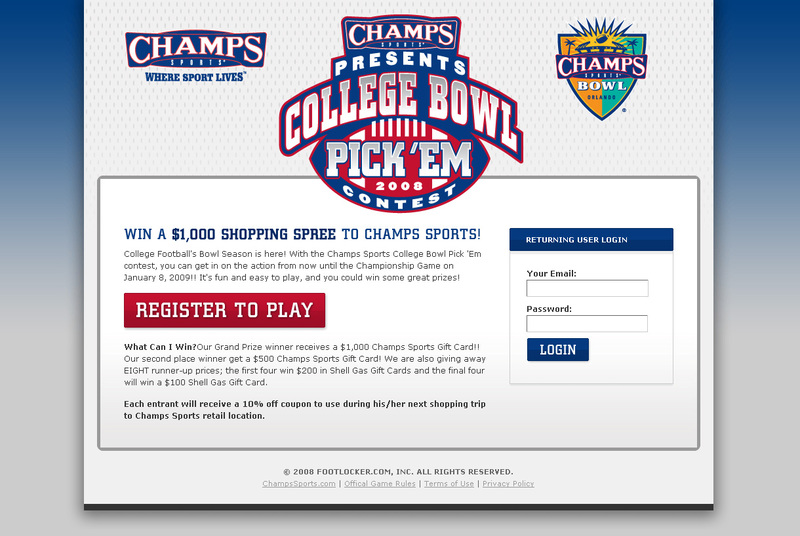 nuSpace Media worked with the Champs Sports retail store division to create various sports pick ’em and bracket contest games. The goal of the games was to build an email marketing database that would ultimately help drive fans into the mall stores. 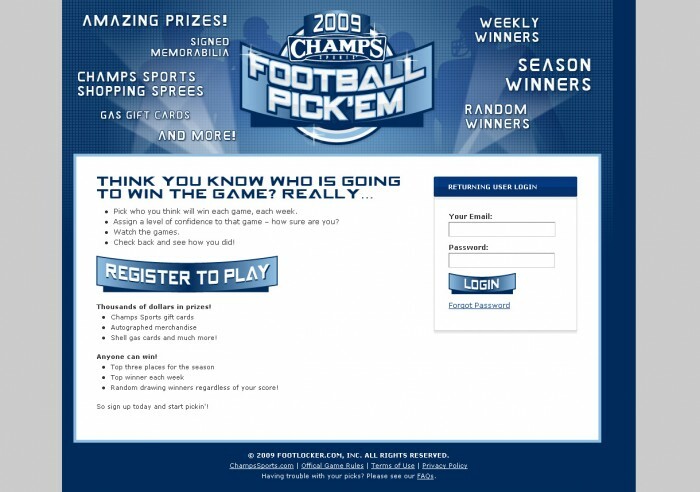 nuSpace Media developed custom applications for each of the pick ’em and bracket contests that would be updated depending on the sport and the teams playing that season. Players were required to sign up for an account in order to play the contests and win prizes.